Timbers: dried, planed, processed, raised…. This is a truly stunning home in a beautiful spot. This Hybrid timber frame home over looks the Spallumcheen Golf Course and the northern most tip of Lake Okanagan. Stately in stature, comfortably livable in design. A beautiful country family home overlooking the Lumby Valley in the North Okanagan. 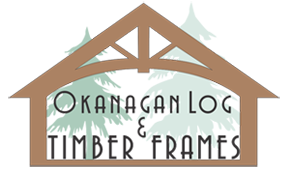 This Hybrid timber frame boasts a 1250 sqft main level, a 1000 sqft second level and four bedrooms… including two full master suites.